A sizeable and growing body of evidence has provided clear indication that, at the aggregate level, corruption is bad for business: aggregate growth and firm performance is lower in highly corrupt settings, while markets perform poorly when corporate corruption becomes commonplace compared to markets in which firms typically refrain from corrupt behaviour. A newer branch of research has sought to examine the costs and benefits of corporate corruption (typically bribery) for individual firms and demonstrates that, while there may occasionally be some short-term gains, the costs outweigh the benefits in the longer term. The evidence in terms of the costs and benefits of corporate integrity is somewhat sparser. Nonetheless, companies with anti-corruption programmes and strong ethical guidelines are found to suffer up to 50% fewer incidents of corruption than those without such programmes, indicating integrity programmes are an effective means of minimising losses which can be incurred as a result of corruption, especially where it is detected. The rationale for and consequences of a firm’s decision to engage in bribery depend on a number of factors, including firm size, location, business environment, and market position. Most of the studies on corruption and firm performance relate to large, publicly listed and multinational firms domiciled in OECD countries for which more data tends to be available. This suggests some selection bias in the findings presented here, as small and medium sized enterprises are not the typical unit of analysis, although they are often included in many of the larger, cross-country business survey datasets referred to below. The literature indicates that in most settings smaller firms have a greater propensity to bribe than larger companies (Pelizzo et al 2016). Svensson (2003) shows that public officials tend to demand fewer bribes from firms with greater bargaining power, of which firm size is a key determinant (Hakkala, Norbäck, and Svaleryd 2008: 638; Aterido and Hallward-Driemeier 2007). At the same time, smaller firms are less likely to have strong internal control mechanisms in place to detect corruption, while some of the effects of corruption as described below (such as the impact on staff morale and business relations) will operate according to different dynamics (Serafeim 2014: 21). A sizeable and growing body of evidence has provided clear indication that, at the aggregate level, corruption is bad for business. There is a symbiotic relationship between market and firm performance: aggregate growth and firm performance is lower in highly corrupt settings, while markets perform poorly when corporate corruption becomes commonplace compared to markets in which firms typically refrain from corrupt behaviour. A newer branch of research has sought to examine the costs and benefits of corporate corruption (typically bribery) for individual firms. Here, the discussion about whether corruption “pays off” is more contested, but the body of evidence demonstrates that, while there may occasionally be some short-term gains, the costs outweigh the benefits in the longer term. Moreover, although some of the more indirect costs may not be captured on a company’s account books, they can have severe implications on the firm’s performance. To give one example, corporate corruption – whether detected or undetected – has a deleterious effect on staff morale which in turn often leads to marked slumps in productivity. The evidence in terms of the costs and benefits of corporate integrity is somewhat sparser. Nonetheless, synthesis articles (Nichols 2012) find that the weight of evidence suggests that higher levels of integrity are correlated with commercial success in many contexts. Companies with anti-corruption programmes and strong ethical guidelines are found to suffer up to 50% fewer incidents of corruption than those without such programmes, indicating integrity programmes are an effective means of minimising losses which can be incurred as a result of corruption, especially where it is detected (PricewaterhouseCoopers 2007: 33). Finally, while most studies tend to focus on the advantages of high integrity in terms of costs avoided, there are other forms of “value-added” benefits which accrue to firms that behave with integrity. The relationship between integrity, or the lack thereof, on firm performance has been the subject of research across a number of disciplines. Much has been written from either an intuitive perspective, on the assumption that corporate bribery can enhance access to markets or safeguard existing access from interlopers, or from a normative angle, that bribery is an immoral act and should be condemned. Over the past two decades, a sizeable evidence base has begun to emerge to add substance to the debate. Studies can be roughly divided into two camps. On one hand, a large body of research at the aggregate level has evaluated the impact of corruption on markets’ competitiveness and growth. Here, there is a nearly unanimous consensus that corruption is bad for business. On the other hand, an increasing number of researchers have begun to examine the benefits and costs of engaging in bribery and other corrupt practices at firm level, namely: what impact does corporate bribery have on a firm’s profitability, sales, competitiveness, growth and staff morale? Partly due to a “dearth of firm-level empirical data on the consequences of paying bribes” (Nichols 2012: 329), the evidence at firm level is more contested (Williams and Martinez-Perez 2016; Athanasouli et al., 2012; De Rosa et al., 2010; Gaviria, 2002; Teal and McArthur, 2002). Nonetheless, more sophisticated analysis of corruption as a diachronic relationship between bribe payers and bribe takers rather than a static, one-off exchange indicates that in the long run the costs of bribery outweigh the benefits for firms. Corruption begets corruption; firms with a propensity to pay bribes not only find themselves spending more time and money dealing with the bureaucracy, but also suffering from the indirect costs such as lower productivity, slower growth, employee theft and more expensive access to capital. Within the firm-level studies there exists a second cleavage. While there is now substantial literature considering the impact of integrity failings, particularly corporate bribery, on firm performance, there are fewer pieces on the effect of robust and proactive integrity measures on a company’s bottom line. After briefly summarising the evidence at aggregate level, this Helpdesk answer concentrates on firm-level implications, first in terms of the effects of the absence or failure of integrity (largely in the form of bribery), before considering the costs and benefits of proactive and robust integrity measures. The claim that corruption acts as a “grease in the wheels” contributing to a country’s economic development has been comprehensively laid to rest. There is now an overwhelming consensus that high levels of background corruption in a given country or market are harmful to business in two mutually reinforcing ways. 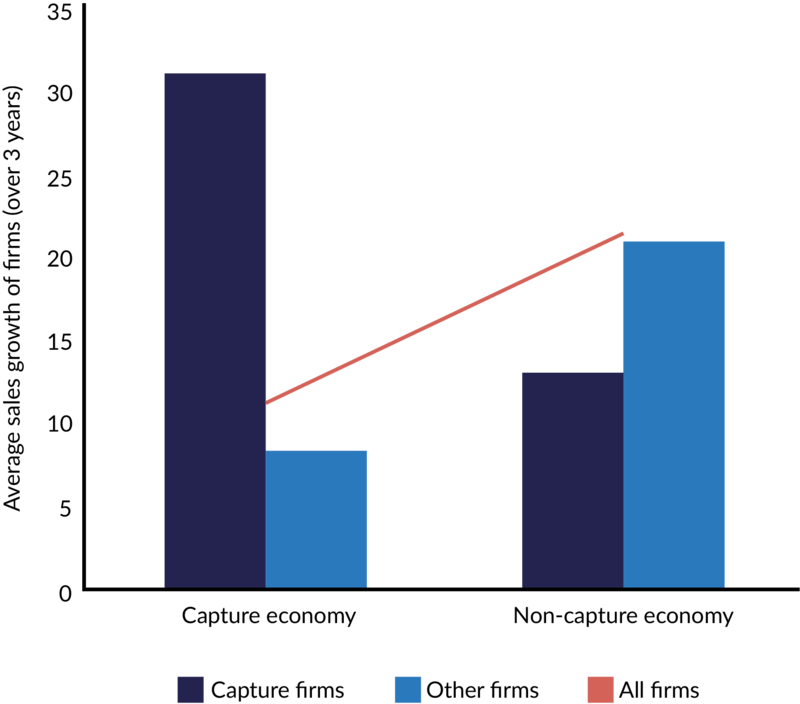 First, such background corruption has adverse effects on a country’s economic performance by reducing institutional quality, undermining competitiveness and entrepreneurship, distorting the allocation of credit and acting as a barrier to trade (Ali and Mdhillat 2015; De Jong and Udo 2006; Horsewood and Voicu 2012; Musila and Sigue 2010; Rodrik, Subramanian & Trebbi 2004; Zelekha and Sharabi 2012). Corruption is positively and significantly correlated with lower GDP per capita, less foreign investment and slower growth (Ades and Di Tella 1999; Anoruo and Braha 2005; Kaufmann et al. 1999; Knack and Keefer 1995; Hall and Jones 1999; Javorcik and Wei 2009; Méndez and Sepúlveda 2006; Méon and Sekkat 2005; Rock and Bonnett 2004). In fact, some studies have argued that in transition economiesb5dd69c629af corruption is the single most important determinant of investment growth, ahead of firm size, ownership, trade orientation, industry, GDP growth, inflation and the host country’s openness to trade (Asiedu and Freeman 2009; Batra, Kaufmann and Stone 2003). Figure 1: The Effect of State Capture on Enterprise Growth. Source: Batra, Kaufmann and Stone (2003). The following section considers the consequences of a firm’s decision to engage in corrupt behaviour (typically bribery) on its performance, both where such behaviour remains undetected and where it is uncovered. While the picture is not as clear as at aggregate level, most of the evidence suggests that the long-term (and often indirect) costs of corruption outweigh any short-term benefits (Athanasouli et al. 2012; De Rosa et al. 2010; Faruq and Webb 2013; Gaviria 2002; Lavallée and Roubaud 2011; Teal and McArthur 2002). This leads Nichols (2012: 329), in a systematic review of the field, to declare that “a very strong business case exists for complying with the rules regarding bribery”. Evidently, some businesspeople continue to view bribery as constituting a commercial advantage in terms of “lower costs, greater efficiencies, or access to relationships or markets” (Nichols 2012: 334). The evidence for such an assumption, however, is patchy, even where such activity is not detected by relevant authorities or regulators. Intuitively, bribery may appear to some firms as a sure-fire means of entering a market or protecting their market position from competitors. Pelizzo et al. (2016) found in a survey of business in sub-Saharan Africa, for instance, that the most significant motivation to pay bribes was to secure a government contract. Some researchers have argued that, although corruption has an overall detrimental impact on a country’s economic performance, for individual firms “participation in corrupt practices with public officials is a rational economic choice” (Williams and Martinez-Perez. 2016: 10). A few isolated studies side with this view. Dutt and Traca (2010) find some indication that collusion with corrupt officials can help firms negotiate barriers to trade in extremely corrupt or bureaucratic environments.cae3315766d5 Where collusion becomes state capture, in which an insider section of the business community is able to dictate the formulation or implementation of policies, laws and regulations, then “captor” firms appear to benefit significantly from their insider status, with their sales growth being much higher than outsider firms. However, as shown in figure 1 below, aggregate sales growth of all firms in markets characterised by state capture is markedly lower than in markets without state capture (Batra, Kaufmann and Stone 2003). A recent cross-national study used 2006 World Bank Enterprise Survey data to construct a stratified random sample of formal private sector business with five or more employees from 132 countries. The authors found that business owners who viewed corruption as necessary to “get things done” are positively associated with higher annual sales and productivity growth rates than those companies which did not view corruption as necessary (Williams and Martinez-Perez 2016: 10). Vial and Hanoteau (2010) likewise find a positive relationship between corruption, firm output and labour productivity. Other studies provide a more nuanced view. A survey of 480 large multinational firms by Healy and Serafeim (2016) finds that, while companies with weaker integrity mechanisms are associated with greater sales growth in high corruption risk markets, the propensity to engage in bribery incurs additional costs with the result that their return on equity (ROE) actually declines. In other words, while more corrupt large multinational firms may enjoy stronger sales in riskier markets, they actually become less profitable as the additional costs incurred from paying bribes are not fully recovered from higher prices or greater sales. Paying bribes can be a considerable expense; in the case of Siemens, for instance, they amounted to 3% of total sales (Healy and Serafeim 2016: 494). While static analysis of corporate bribery as a one-off interaction might indicate a positive correlation with firm performance, there are two methodological issues to consider before turning to other empirical research that corruption imposes considerable costs on firms even where it remains undetected. First, more sophisticated analysis of bribery treats it as a relationship, rather than a single interaction. This is not a trivial distinction; corruption’s effects must be evaluated dynamically in order to fully understand their implications. Corruption is not exogenous to the wider relationship between a firm, its business partners, customers and the bureaucracy; willingness to pay bribes affects not merely a given transaction, but the nature of the entire relationship (Nichols 2012: 334). Viewed in this light, most scholars concur that the long-term costs of bribery outweigh any short-term benefits accrued from by-passing bureaucratic or regulatory processes. Earning a reputation as a corrupt or dishonest company occurs over the course of several interactions and can have severe consequences for a firm’s performance. Indeed, public officials have been shown to function as bribe price discriminators, demanding higher bribes from firms that are willing and able to pay and lower bribes from companies which credibly threaten to exit the market or attain the service using alternative means (Reinikka and Svensson 2002). This brings us to the second methodological issue with studies that point to positive correlations between firm bribery and performance. Some of these correlations may suffer from endogeneity issues; rapidly growing or successful firms may be more likely to be targeted by officials looking to extract bribes because of their increasing ability to pay (Fisman and Svensson 2007; Wu 2009). Svensson (2003) finds that the higher a firm’s profits in Uganda, the more it has to pay in bribes, while Clarke and Xu (2004) come to a similar conclusion in a study on firm performance in Eastern Europe and Central Asia. Kaufman and Wei (1999) propose a theoretical model predicting that bribe-paying firms are likely to encounter more harassment and demands for bribery than companies which act with integrity. Where a firm has demonstrated its willingness to expend its chief resource – money – in exchange for services, resources or permissions provided at the discretion of a public official, that official has an incentive to construct new delays in order to continue to extract bribes (Nichols 2012: 335). This suggests that bribery may actually increase the direct costs a firm incurs due to bureaucratic interference. Testing their model against business surveys conducted for the Global Competitiveness Report and World Development Report, they find that once other factors are held constant, “firms that pay more bribes, in equilibrium, experience more, not less, time wasted with the officials on matters related to regulations” (Kaufman and Wei 1999). This conclusion is corroborated by a number of other studies. Gaviria (2002) directly compares firms which pay bribes with those that do not in Latin America, finding that bribery increases a firm’s costs. De Rosa et al. (2010) interrogated Business Environment and Enterprise Performance survey data, finding no evidence to support the notion that bribery proved advantageous to firms looking to avoid bureaucratic red tape, but rather that paying bribes incurred greater costs on firms than bureaucratic delay. Significantly, they also concluded that bribery entailed greater costs in countries with high levels of corruption than in less corrupt countries, indicating that even where bribery is an expected behaviour, those companies which commit bribery still incur costs rather than benefits relative to firms which do not pay bribes (De Rosa et el. 2010). Even in absolute terms, bribery is an expensive activity; a study of transition economies in Europe and Central Asia found that, on average, firms spent 1.1% of their revenues on bribes, equating to 8% of their profits (Anderson and Gray 2006: 16). A more recent OECD study (2014: 8) reports that bribery and the often protracted negotiation that accompanies it raises the costs of doing business; bribes average 10.9% of the value of a given transaction and a staggering 34.5% of profits. In addition to the direct cost in time and money attributable to corporate bribery, there are a number of indirect costs of bribery which detract from firm performance. Although there has been little research to date on the impact of bribery on firm productivity, country-level studies demonstrate positive correlations between corruption and low productivity (Lambsdorff 2003; Dal Bó and Rossi 2007). Svensson (2001) argues that, at least in Uganda, paying bribes damages firm operations, while Lavallée and Roubaud (2011) find no significant association between corruption and firm output. In sub-Saharan Africa, Teal and McArthur (2002) find that firms which pay bribes to public officials have 20% lower output per worker, while Faruq and Webb (2013) observe a vicious cycle: not only are less productive firms more likely to turn to bribery, but that corruption further reduces firm productivity. Anecdotally, there is some suggestion that firms which engage in corruption are making inefficient use of resources which could be more gainfully employed in improving business operations rather than flowing into the pockets of public officials. Other practices common in settings with weak rule of law, such as nepotism or patronage (Rothstein and Varraich 20017), could result in contracting or recruitment processes being conducted on the basis of connections rather than merit, resulting in the hiring of incompetent employees or contractors who reduce a firm’s productivity. A study of 10,032 SMEs and large firms from 80 countries found that enterprises which report being severely constrained by demands for bribes have been found to have a growth rate 3.95% lower than firms which are not so constrained (Batra, Kaufmann and Stone 2003). It is worth noting, however, that firms which engage in bribery may actually not view corruption as a constraint, so this indicator is an imperfect proxy for actual firm bribery. Using sales dynamics as an alternative proxy for growth, a study of 10,457 SMEs and large firms operating in sub-Saharan Africa by Pelizzo et al. (2016: 236) finds that a firm’s propensity to bribe has little discernible impact on growth. Other studies (Athanasouli et al. 2012) which review firm-level data suggest corruption has a negative effect on sales growth. In a study of a random stratified sample of 243 Ugandan firms, Fisman and Svensson (2007) found, after controlling for the endogeneity effect of high-profit or turnover firms being disproportionately targeted, that higher corruption at firm level is strongly correlated with lower firm growth, even in the short term. In fact, a 1% increase in the bribery rate is associated with a reduction of firm growth of more than 3%. Moreover, their evidence suggests that paying bribes is three times as harmful to firm growth than paying the equivalent amount in taxation. Research looking at the factors of job creation in 70,000 enterprises across 107 countries concludes that corruption hampers employment growth in small, medium and large firms (Aterido and Hallward-Driemeier 2007).df67fa63efef The correlation remains positive regardless of whether corruption is measured as an incidence of bribes, bribes as percentage of sales, incidence of “gifts” to government officials, or gifts as percentage of government contracts. Looking at a business survey of middle and top managers from 29 countries (predominantly in Latin America) representing firms with a range of characteristics in terms of age, size, sector and location,4957d4bc25e6 Gaviria (2002) finds that bribe payments are correlated with lower growth in sales, employment and investment at the firm level, rendering a company less competitive. Nichols (2012: 339) observes that, while lower growth rates among firms which bribe could be attributed to additional costs incurred by paying bribes, lower rates of sales growth indicate that paying a bribe triggers a vicious cycle whereby more bribes are demanded. Even where corruption is not detected by relevant authorities, a pervasive corporate culture of rule-breaking, especially on the part of senior managers, can have a marked impact on an enterprise’s bottom line (Nichols 2012: 343). One survey of 1,286 municipal office workers in ten countries found that staff’s observation of managers engaging in bribery was the single greatest factor in driving staff’s own self-serving behaviour (Bruce 1994). Similarly, another study revealed that even being exposed to tolerance of bribe-giving in a firm contributed significantly to employees’ malpractices (Weeks et al. 2005). Where staff look for kickbacks, firms may lose their competitive edge or be left with substandard goods and services, while employee theft or fraud can be even more damaging; on average US firms are estimated to lose 6% of their annual revenues to such practices (Association of Certified Fraud Examiners 2004). In sum, there is a strong case that a firm’s decision to engage in bribery, when conceived of as taking place within dynamic relationships, is likely to bring at best limited short-term gains at the expense of long-term performance, growth and productivity, even where the transgression is not detected. Paying bribes is associated with higher transaction costs in terms of time and money relative to firms which act with integrity, even in markets with high corruption risks (De Rosa et al. 2010). All of this suggests that, if long-term performance, growth and productivity matter to a firm, then contrary to William and Martinez-Perez’s assertion (2016: 10) corruption does not represent a rational economic choice. In many instances, it is typically the less productive firms facing stiff competition who are most likely to turn to corruption to expand or maintain market share (Faruq and Webb 2013). The evidence suggests, however, that corruption renders firms less competitive, triggering a vicious cycle (Nichols 2012: 339). Therefore, corruption is unlikely to benefit a company unless it operates in a market characterised by state capture and is able to become a “captor” firm able to set the terms of regulation and its enforcement at will (see Batra, Kaufmann and Stone 2003). Where incidences of corruption are detected, there are additional negative impacts on a company’s competitiveness. Whereas prior to detection one only has to factor in the “insiders” to a corrupt transaction (typically company employees and corrupt officials), once a transgression comes to light, the implications on a firm’s relationship with regulators, law enforcement, business partners and customers have to be considered. As discussed in the following section, where anti-corruption and competition laws are effectively enforced, detection typically causes a significant detrimental impact on firm competitiveness due to various regulatory and market forces (Serafeim 2014). Businesspeople may be conscious of the likely risk and impact of fines, penalties and legal costs should evidence of corporate malfeasance come to light. There are, however, additional and potentially more grievous consequences which may not be immediately obvious as they tend not to appear in the “annual report, on the balance sheet, or in the income statement” (Thomas, Schermerhorn and Dienhart 2004: 57). As such, Thomas, Schermerhorn and Dienhart (2004: 57) contend that these indirect costs of integrity failures are “chronically undervalued in executive decision-making.” Yet where senior management is distracted by legal battles, staff are demoralised by corruption scandals, and business partners and shareholders lose faith in a company’s integrity, a firm is likely to experience lower competitiveness, productivity and market value. Thomas, Schermerhorn and Dienhart (2004) propose a hierarchy of business costs of ethics failures, according to which the most high-profile costs, such as fines and penalties, are actually the least damaging to firm performance. 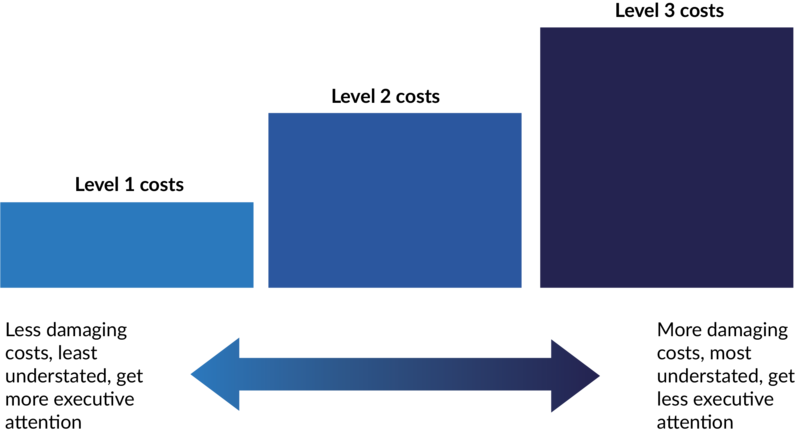 Figure 2: Hierarchy of the business costs of ethics failures. Source: Thomas, Schermerhorn and Dienhart (2004). Level 1 costs are the easiest to calculate as they relate to those stakeholders which are foremost on the minds of senior management: themselves, the firm and the government (Thomas, Schermerhorn and Dienhart 2004: 58). These costs tend to relate to fines, penalties, sanctions and debarments imposed by regulators and the judiciary, but can also include concomitant civil suits. Companies are subject to local legal provisions against corruption in the countries in which they operate, as well as a growing international legal regime able to prosecute firms for the bribery of foreign public officials, notably the US FCPA and the UK Bribery Act (PRI/UN Global Compact 2016). Increasingly, this can mean that firms which pay bribes find themselves liable in multiple jurisdictions, and recent years have seen jail sentences and spectacular fines for companies which have fallen foul of foreign bribery legislation. In 2014, for instance, the French firm Alstom paid US$772 million in fines to settle its dispute with the US Department of Justice, while the UK’s Serious Fraud Office charged seven individuals involved in the case (United States Department of Justice 2014; FCPA Blog 2016). In addition to fines and penalties, firms found to have engaged in bribery are increasingly subject to debarment from tenders for lucrative contracts, particularly those offered by the multilateral development banks who in 2010 agreed to mutually enforce and publish their debarment decisions. For further details, see a previous Helpdesk answer Multilateral Development Banks’ Integrity Management Systems. According to Thomas, Schermerhorn and Dienhart (2004), level 2 costs are largely administrative in nature and relate to “clean-up” costs such as attorney, audit and investigative fees, as well as the cost of remedial actions. As such, these costs are often buried in company accounts as the cost of doing business, though they can run to millions of dollars and have an even more material impact on a company’s financial performance than level 1 costs. With the advent of non- and deferred-prosecution agreements, senior management from firms entangled in corruption cases spend considerable time crisis managing their firms’ fraught negotiations with law enforcement, to the detriment of company day-to-day operations (Kukutschka and Chêne 2017). Level 3 costs are significantly more difficult to quantify, and are the least likely to be factored in to a firm’s decision on whether to behave in a corrupt fashion. Nonetheless, risks such as customer and shareholder defection, reputation loss and impact on employee morale can have severe implications for a firm’s bottom line. Where a firm is found guilty of corrupt practices, shareholders and investors are likely to lose confidence in the company’s profitability, fearing the kinds of level 1 and 2 costs described above. The result of sudden uncertainty on investor returns is likely to be a rapid decline in a company’s market value (PRI/UN Global Compact 2016). A study by Karpoff, Lee and Martin (2013) found that, on average, the stock prices of firms prosecuted for foreign bribery fell by 3.11% on the first day and by 8.98% over the course of an enforcement action. Using data from three worldwide firm-level surveys covering thousands of enterprises, Kaufman and Wei (1999) find that bribe-paying companies experience higher costs of obtaining capital. Other studies, interrogating a dataset of 3,674 firms from 44 countries, support Kaufman and Wei’s finding that corruption generally raises the cost of accessing capital (Garmaise and Liu 2005; Lee and Ng 2005). As well as writing off US$17 billion in losses due to overvalued assets as a result of corrupt practices, Petrobras experienced this phenomenon when issuing a Century bond to help it weather out its recent corruption scandal; as a result of the downgrading of the firm’s debt rating, the company was forced to raise the bond at an estimated 8.45% which is around 30 basis points higher than comparable firms from Latin America (Centre for Responsible Enterprise and Trade 2015; Reuters 2015). Surveys of the public indicate that firms found guilty of malpractice can also expect customers to defect in droves. A Roper poll found that where a company was known to have behaved unethically, 91% of people would consider switching to another provider, 85% would condemn the company’s actions to friends and family, 83% would refuse to invest in a company’s stock, 80% would refuse to work at the company and 76% would boycott the firm’s products or services (Thomas, Schermerhorn and Dienhart 2004: 60). In addition, firms may struggle to maintain or establish relations with business partners, who are understandably wary of being tainted by association as criminal liability can arise under the FCPA as well as some countries’ criminal codesfa909bd5260b simply from entering into a business relationship with a bribe-paying entity (Nichols 2012: 350-1). Serafeim (2014) looks at the fallout of a firm being found to have acted in a corrupt fashion across four pillars of competitiveness: corporate reputation, employee morale, business relations and regulatory response. Looking at a survey of how senior managers from 6,806 firms across 77 countries believed corruption would affect their firm, he found that a common assumption among those whose companies had not been implicated in corruption scandals was that the most severe impact on the firm would be in the area of firm reputation and business relations. Interestingly, however, those managers whose firms had experienced a corruption scandal reported that the greatest detrimental outcome was the blow to staff morale (Serafeim 2014). This is highly significant, as studies have shown that employee morale is directly related to a firm's performance, including stock market returns. A study of 840 large companiese1f4466772fe found that companies at which more than three-quarters of workers reported “overall satisfaction with their company” enjoyed markedly stronger year-on-year stock performance than companies with lower workplace morale (Harvard Business School 2013). Finally, a study of 480 large corporations from the world’s top 31 exporting countries found that those firms with integrity failings are less likely to be able to attract and maintain talented employees and many experience a severe brain drain after corrupt dealings surface (Healy and Serafeim 2016). While corruption may intuitively seem to some businesspeople to be a low cost, high return activity, there is a strong body of evidence that corruption actually undermines a firm’s long-term performance prospects while exposing it to a range of potentially crippling risks, from fines, penalties and debarment to customer defection (Nichols 2012: 367-8). Based on the above review of literature, it is clear that bribery is detrimental to a firm’s long-term performance. The other side of the coin is whether firms which act with integrity reap additional rewards in terms of commercial success. An analysis of 1,600 companies in the MSCI World Index found that, on average, well-governed companies outperformed badly-governed firms by 0.3% per month, but that this was driven by the failings of poorly-governed companies; good corporate governance itself is insufficient to generate greater profitability (Hermes Investment Management 2014).Even advocates for integrity in business acknowledge that standalone ethics infrastructures are on their own “disconnected from commercial realities” (Barlow 2017). Nonetheless, they contend that business performance is improved in companies withproactive or “heightened” integrity in which staff are competent, act ethically and are held accountable through transparent delegation processes (Barlow 2017). The literature does suggest that higher levels of firm integrity correspond with stronger commercial performance in many contexts. To begin with, companies with robust anti-corruption programmes and ethical codes have been found to experience up to 50% fewer incidents of corruption than those firms without an adequate integrity infrastructure (PricewaterhouseCoopers 2007: 33). This indicates that compliance programmes are a relatively effective means of minimising losses which can be incurred as a result of corruption. Business leaders increasingly acknowledge the value of integrity structures; a recent OECD survey found that 60% of companiesfefe7d3f64a4 considered resources allocated to business integrity improvements as a valuable investment, while only 18% viewed it primarily as an expense (OECD 2015: 36). Beyond mere compliance and a concern with minimising potential integrity risks, there is some evidence that firms which act with integrity enjoy other benefits, ranging from cost savings to more sustainable growth patterns. Companies with solid integrity frameworks and stringent compliance systems are generally able to reduce their exposure to corruption, and thereby avoid the costs associated with bribe paying discussed in section 3. A study by the Legal Research Network (2014) found that firms which count integrity and risk mitigation among their top business priorities are strongly associated with more effective compliance programmes. According to Nichols (2012: 368), this grants them a competitive edge over firms which do pay bribes. Stronger corporate governance has been shown to be especially beneficial to firms in more corrupt markets; where the external business environment is weak, internal governance mechanisms help ensure that company and shareholder resources are protected (Dass, Nanda and Xioa 2014). Integrity and compliance systems typically seek to do two things: minimise the likelihood of harmful events, and reduce the impact of such events should they occur. Company anti-corruption programmes and integrity systems, which range from basic ethics training and policies on gifts to whistleblowing hotlines and full-blown corruption risk management programmes, can help a firm minimise the risk of corruption occurring (Transparency International 2016). Research from the Corporate Executive Board (2017) shows that employees of firms with a strong culture of integrity are 90% less likely to observe misconduct in the workplace and are more likely to report misconduct they do see. Pelizzo et al. (2016) found in a recent study on firms in Sub-Saharan Africa that, relative to larger enterprises, small firms are particularly susceptible to corruption as they suffer from a lack of robust internal procedures, poor corporate governance structures and inadequate accounting standards. This suggests that compliance and integrity systems, which are increasingly common among large and medium sized enterprises, are a relatively effective means of curbing corruption. Particularly where integrity programmes promote transparency and due diligence, they can ensure a company reduces risks in its supply chains and business relationships. Given that OECD data shows that three-quarters of foreign bribery prosecutions involved payments through intermediaries, knowing who one is doing business with is vital (Transparency International 2016). Revealingly, a survey of 59 global consumer and retail companies found that 61% of supply chain managers identified integrity and ethics challenges as the most significant risks to their business (PricewaterhouseCoopers 2008). Where companies put in place internal control systems are able to vet and oversee often complex corporate structures, they are better placed to identify and tackle integrity risks. Companies which demonstrate a sincere commitment to act with integrity are likely to suffer less severe ramifications if corruption does occur. An increasing number of countries, including Brazil, the United Kingdom and the United States, have passed legislation allowing for significant reductions or even suspensions of penalties imposed on firms for corporate malpractice where these companies are found to have robust internal control systems in place (Humboldt-Viadrina Governance Platform 2013). Integrity systems are also a means of catching any transgressions before they can wreck more damage. Serafeim (2014) finds that where bribery is exposed by a company’s own internal control mechanisms or whistleblowing channels, the negative impact of the bribery incident on the firm’s regulatory relations is considerably less severe than when it is uncovered by external bodies such as the media, competitors, or law enforcement.9c0ffce2d431 Furthermore, when offending parties are promptly disciplined, dismissed or have business ties severed, the impact on firm reputation and consequent performance was lower still (Serafeim 2014). While most firms see their integrity systems as a means of managing their financial and operational risks, the existence of such mechanisms is increasingly used by potential investors as an indicator of a firm’s risk profile, the strength of its management and corporate governance, as well as its “potential for long-term value creation” (PRI/UN Global Compact 2016: 24). In fact, companies which act with integrity and transparency typically enjoy the benefits of a lower risk profile; a number of studies conclude that corporate transparency is positively associated with cheaper access to capital (DeBoskey and Gillet 2013; Fecht, Fuss and Rindler 2014; Firth, Wang and Wong 2015). Other research by Cheng, Ioannou and Serafeim (2011) on 2,439 publicly listed firms shows that companies with better corporate social responsibility (CSR) performance face significantly lower capital constraints. Importantly, the authors find that comprehensive CSR reporting generates a positive feedback loop, as increased transparency about firms’ governance structures can drive positive changes to their internal control systems, further improving compliance with regulations and the reliability of reporting. In addition, increased transparency and availability of data about a given firm reduces “informational asymmetry” between the firms and investors, ensuring they enjoy better access to finance (Cheng, Ioannou and Serafeim 2011: 3). Robust anti-corruption programmes imply that a firm has developed measurable indicators to track the integrity of its internal operations, which Transparency International (2016) suggests could generate beneficial side-effects such as a better understanding of core business processes and a consequent reduction in operational costs. Integrity mechanisms can also help reduce the impact of employee fraud or theft, which as noted above, is estimated to account for up to 6% of a firm’s annual revenue (Association of Certified Fraud Examiners 2004). A range of research indicates that companies which operate with integrity are more likely to enjoy advantages in product, labour and capital markets (Cheng et al. 2014; Ioannou and Serafeim 2014). Regardless of whether one looks at firm value or return on sales as a measure of firm performance, Guiso, Sapienza and Zingales (2013) identify a positive correlation with proxies for integrity among a sample of 679 relatively large U.S. companies. Companies with a strong commitment to integrity have been estimated to have 10-year shareholder returns 7% higher than companies with low integrity (Corporate Executive Board 2017), while another study found that European and U.S. portfolios with high governance risksfc45e61716c3 generate negative long-term stock returns in the order of 3.5% per annum (Gloßner 2017: 27). Moreover, a study of 480 large multinational firms has found that growth in sales in markets with low background risks of corruption has a greater positive effect on a firm’s profitability than sales growth in markets with high integrity risks (Healy and Serafeim 2016). Given that a recent survey of 824 multinational firms domiciled all around the world and operating in a wide range of sectors indicates that compliance with anti-bribery measures is increasingly becoming a competitive advantage in low integrity risk markets (Control Risks 2015), firms with high-quality compliance systems are arguably better placed to enjoy sustainable growth. These effects are particularly marked over the long term. Eccles, Ioannou and Serafeim (2014) observe that managerial focus on short-term profit maximisation for shareholders often leads to lower long-term value creation as needed investments are sidelined.802808260155 While a strong culture of integrity can in some instances entail short-term costs and foregone profits, Guiso, Sapienza and Zingales (2013) argue that, at least for the large companies in their sample, such costs are outweighed by the long-term benefits. For instance, a study of 180 publicly listed U.S. firms found that those which proactively engage in sustainability reporting outperformed their competitors over the long-term with regard to stock market and accounting performance (Eccles, Ioannou and Serafeim 2014). Another study of 9,141 public firms with assets of more than $10 million listed on the NYSE, NASDAQ and AMEX from 1990 to 2011 found a significant correlation between strong corporate governance and transparency with firm value, which was particularly marked in states judged to be more corrupt (Dass, Nanda and Xiao 2014). While companies in more corrupt states were generally found to have lower market value, good quality internal governance mechanisms and high integrity standards could partially compensate for high background levels of corruption (Dass, Nanda and Xiao 2014). The recent move to expand corporate reporting to include more details about firms’ financial and tax affairs, such as via country-by-country reporting,ed32455dc6e9 enjoys support from some investor groups who argue it would help them better assess investment risks (Eumedio 2015; Eurosif 2015). While some companies may contend publishing sensitive data might constitute a commercial disadvantage, a study of 28 European and Indian multinational companies found no significant correlation between public disclosure of country-by-country reporting and standard measures of competitiveness such as revenue, earnings per share, price to earnings ratio, return on equity and return on assets (Transparency International EU 2016). Companies with a reputation for acting with integrity may enjoy additional commercial opportunities over their competitors. Some public procurement agencies as well as potential business partners offer preferential terms for companies who adopt stringent anti-corruption and corporate transparency measures. These can include reduced procurement costs, favourable payment terms, lower due-diligence requirements, reduced tax inspections and audits, and faster issuance of permissions and licences (Transparency International 2016). Guiso, Sapienza and Zingales (2013) find that among large U.S. firms where employees perceive senior management as trustworthy and ethical, the firm’s performance is stronger in terms of productivity, profitability, industrial relations and attractiveness to prospective job applicants. This has a notable impact on a firm’s bottom line: one standard deviation increase in integrity equates to a 0.19 standard deviation increase in Tobin’s Q,a17a25da5260 and a 0.09 standard deviation increase in profitability. Edmans (2012) measures the impact of job satisfaction on firm value by using future stock returns. In other words, to avoid reverse causality that could arise from high current market value leading to high reported job satisfaction, he relates the change in market value in a given year with reported job satisfaction from the previous year. Comparing market value fluctuations between the top 100 firms listed in the Great Place to Work Institute’s (GPWI’s) annual survey and a control group of their peers, Edmans finds that between 1984 and 2011 the value of the top 100 companies increased each year 2.3% to 3.8% more than the general firm population. He explains the correlation between job satisfaction and firm value with reference to the view that companies with higher level of staff satisfaction are better able to recruit, motivate and retain key employees (Edmans 2012: 1). Given that the considerable negative effect of firm bribery on staff morale described above (Harvard Business School 2013) suggests that firms which act with integrity will be better able to retain key employees, this implies that scrupulous firms are likely to enjoy stronger performance. It is worth noting, however, that the imposition of penalties and sanctions on a firm found to have engaged in corruption relies on the existence of a governance regime which actively enforces relevant anti-corruption provisions in its jurisdiction such as the FCPA or the UK Bribery Act. Transition economies as taken to refer to countries in Central and Eastern Europe, as well as the Commonwealth of Independent States (Asiedu and Freeman 2009; Batra, Kaufmann and Stone 2003). Dass et al. assessed Tobin’s Q as an indicator of firm value against local corruption using a proxy of corruption-related convictions of public officials between 1900 and 2011. Tobin’s Q provides a means of estimating firm value by dividing the total market value of the firm by the total asset value of the firm. 51% of business people felt corruption makes an economy less attractive to foreign investors, 90% felt it increases stock market volatility and discourages long-term investment, and 99% agree corruption undermines the level playing field to the benefit of corrupt competitors. Dutt and Traca find that only in very high tariff environments (5% to 14% of the observations) does corruption have a trade-enhancing effect where corrupt officials allow exporters to evade tariff barriers. The findings did reveal some regional differences. While 70% of Latin American firms agreed that if an illicit payment was made to one official, another government official would request payment for the same service, only 17% of firms in the OECD agreed. Aterido and Hallward-Driemeier consider access to finance, business regulations, corruption and infrastructure bottlenecks as variables of job creation. Of the firms surveyed, 33.5% employed between 5 and 50 people, 41.8% employed between 51 and 500 people, and 24.7% employed more than 500 people. Gaviria does note that the country samples were not intended to be representative of the universe of firms in any given country, and different sampling procedures were used in different countries. This is the case in Germany and Bulgaria, for instance. The respondent companies were mainly large privately-owned or publicly listed multinationals headquartered in OECD countries (OECD 2015: 30). Deferred prosecution agreements (DPAs) are settlements between prosecutors and firms which suspends the prosecution for a defined period of time, provided that the firm meets certain specified conditions. DPAs are mostly used in cases of fraud, corruption and other economic crime. For more information, see a 2017 Helpdesk answer on deferred prosecution agreements, plea bargaining and immunity programmes. Serafeim uses a dataset of 244 firms who admitted in an anonymous PWC client survey that they had experienced a bribery incident in the past twelve months. Most of these firms comes from emerging market economies, though firms from the U.S., the U.K. and Australia are also well-represented. 30% of the sample is composed of firms with more than 5,000 employees, 25% has been 1,000 and 5,000 employees, 25% has between 200 and 1,000 employees and 20% up to 200 employees. Gloßner uses a dataset on firm exposure to 28 environmental, social and governance risks provided by RepRisk. The governance issues include corruption, bribery, extortion and money laundering, fraud, tax evasion and anti-competitive practices. Interestingly, publicly traded firms are found to have a notably lower integrity value than similar private firms, suggesting that these firms’ paramount concern on short-term return on investment leads them to underinvest in integrity systems. See Guiso, Sapienza and Zingales 2013. Country-by-country reporting refers to the disclosure by a company, either publically or in confidence to governments, of tax figures and, potentially, other financial data on a country-by-country basis. Tobin’s Q provides a means of estimating a firm’s value by dividing the total market value of the firm by the total asset value of the firm.